Well, I finally decided to try using a wash. I figured this one speed up my painting considerably. 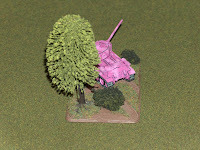 I painted 4 StuG G's all the same camo and base color. I tried 3 different techniques. Keep in mind all them have not been detailed or finished. Just the wash and highlight. 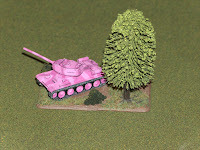 #1 - Found a tutorial for using Oil based paints and artist turpentine for a wash. I followed the directions exactly and it came out WAY to dark. 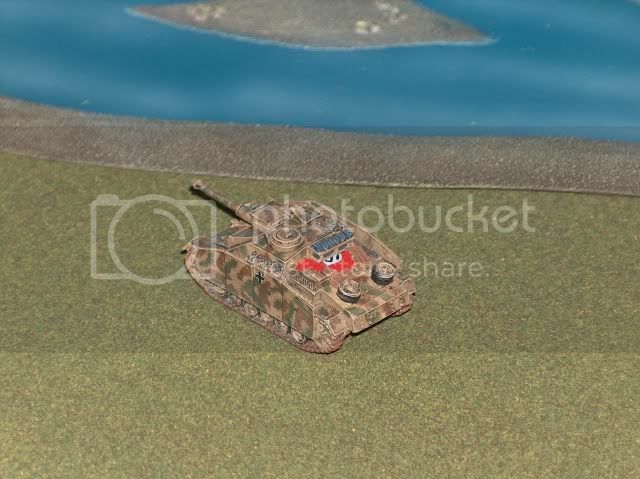 The result is the first StuG in the pictures. #2 - I've now seen and heard of a couple of people using the gel pen. 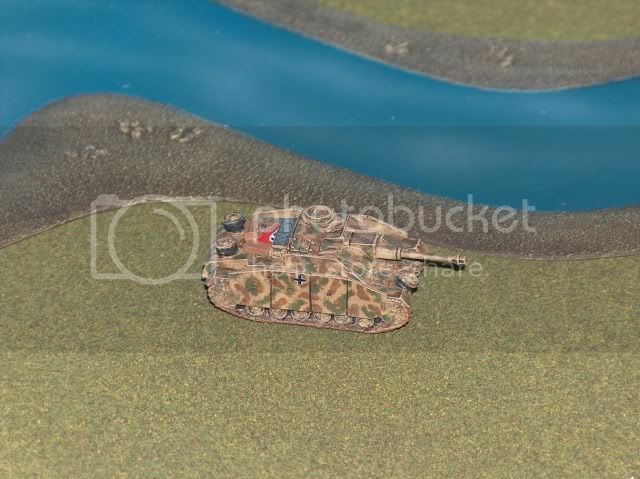 So the 2nd StuG in the pictures is the shading with the Gel Pen. This gives it the more cartoon look and stands out way more. But takes for ever to do, and you have to correct a lot of mistakes. 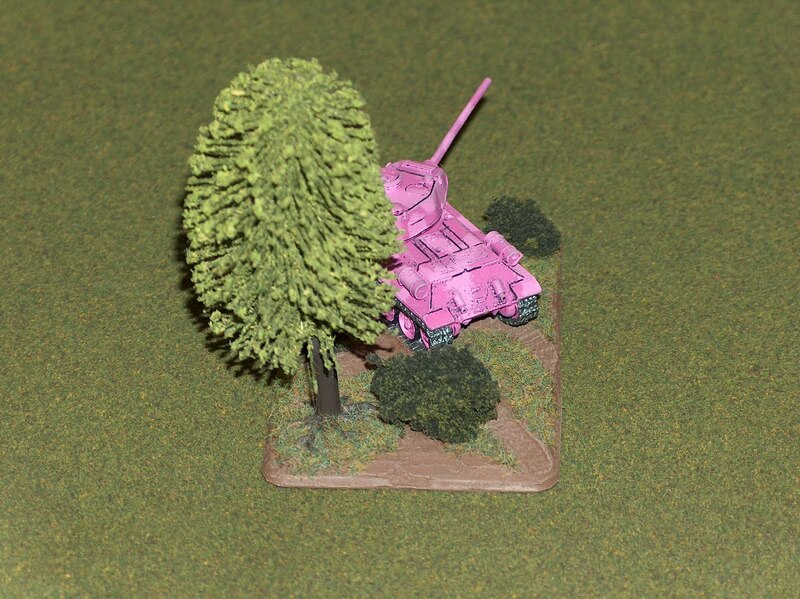 #3 - This seems to be the most popular method for Flames of War painters. It uses the same acrylic paints that you use to paint the models plus Future floor polish. Yes strange I know, but it seems to work. 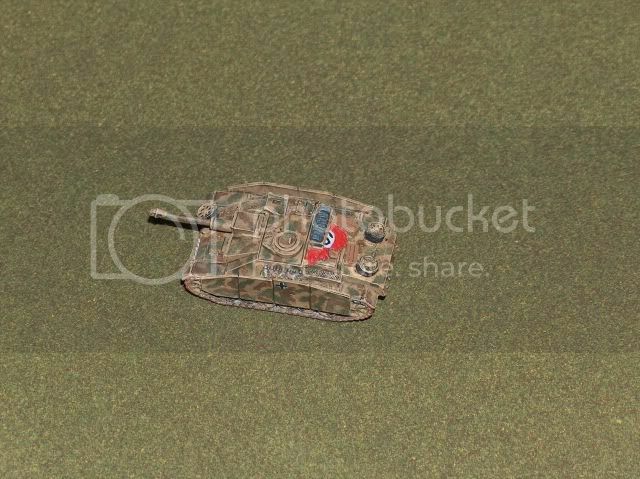 This is the 3rd model in the pictures. I can defiantly see the potential here, and will take some practice. All in all, I do like the cartoon look. but seems to be way more work. 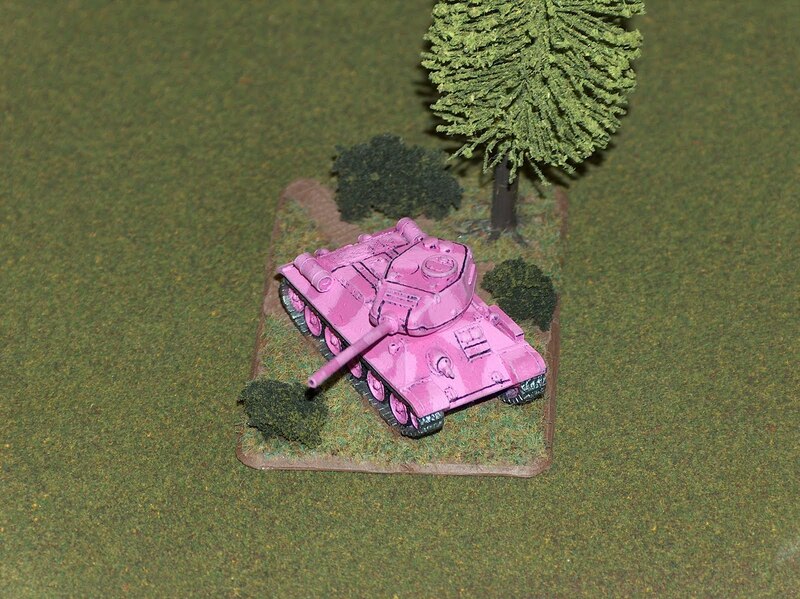 with some practice the future polish way could be the quickest and most realistic. The oil paints is defiantly out. July 1st was my 6th Wedding Anniversary. I just wanted to say happy anniversary to my wife. 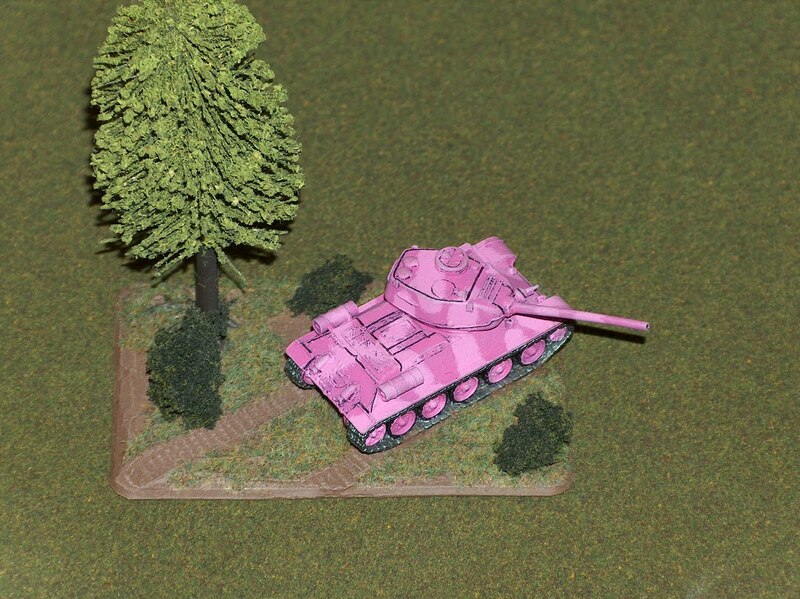 A while back she had asked me if I could paint her a pink tank. 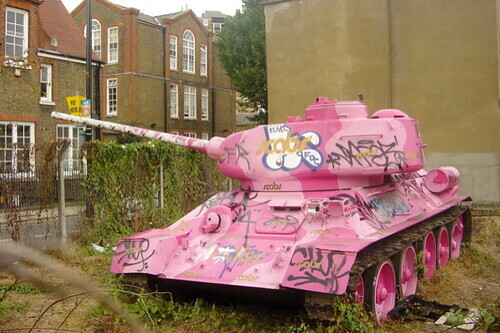 I don't know if anyone has seen this but I had come across the pink T-34/85 that's "sitting" in South London. So I thought I'd give it a try. Unfortunately, I tried the technical pen thing again, and I now know I don't like that technique. HAPPY ANNIVERSARY HONEY! HERE IS YOUR PINK TANK! 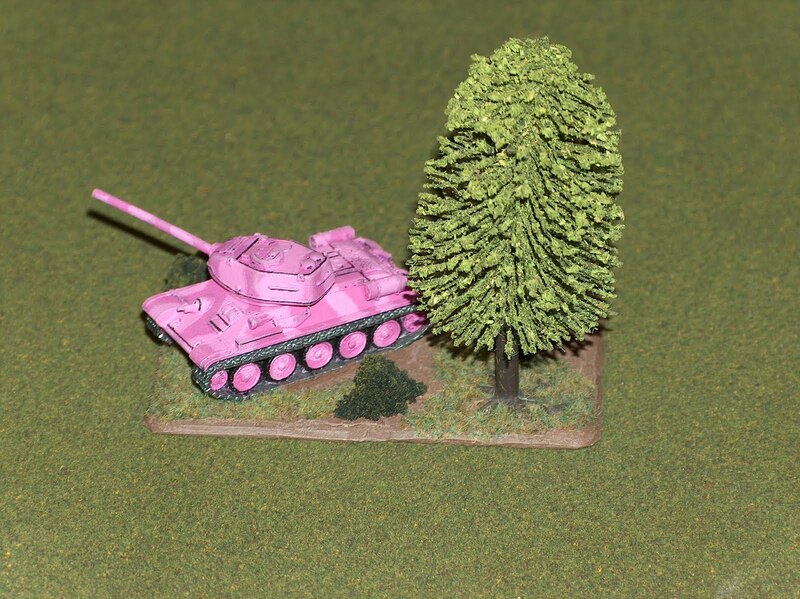 Unfortunately its not even pink any more, but still there. I'd like to go see it one day. I guess there is a big story behind how it got there as well, and its called 'Stompie'. This is what it looks like now. 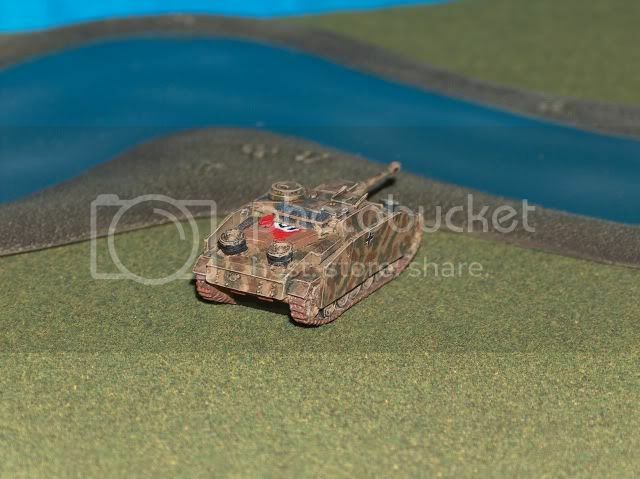 Here are the pictures of the finished tank.